Merry Christmas!!! 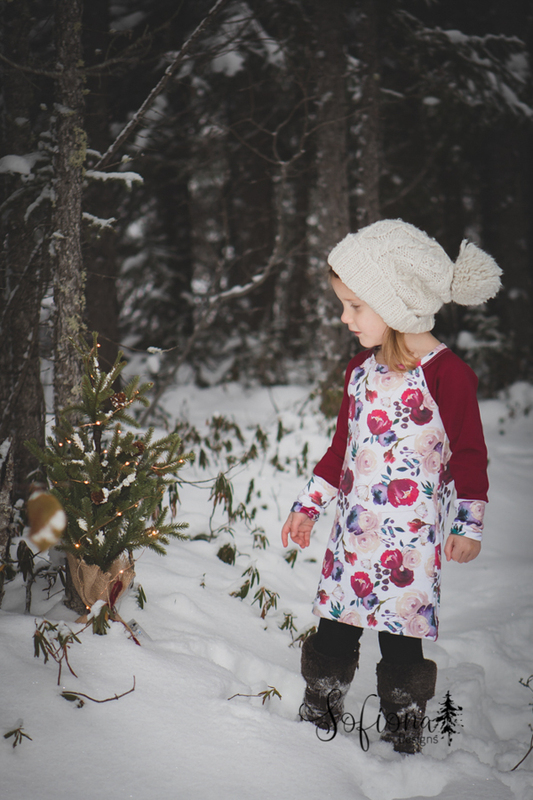 Just in time for the holidays, we would like to introduce you to the Pinecone Skirt and the Aurora Raglan. Two patterns that go well not only with each other, but also with our Starry Night and Railway patterns. We won't just "introduce" you to these two patterns, no, we're also going to give them as our Christmas present to you! These are yours for free using the code in the Sofiona Fan Group. The Aurora will only be free until Boxing Day so you don't want to miss out on that. Head there before you forget. After that it goes up to regular price. The Pinecone will remain available for free with the code. You can give a HUGE shout out "Thank you!!" to Trish for that, ok? 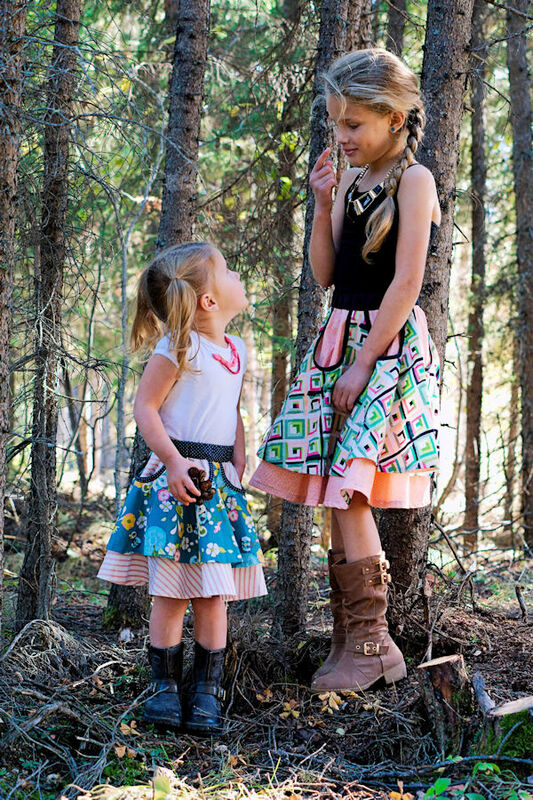 First up, the Pinecone skirt. 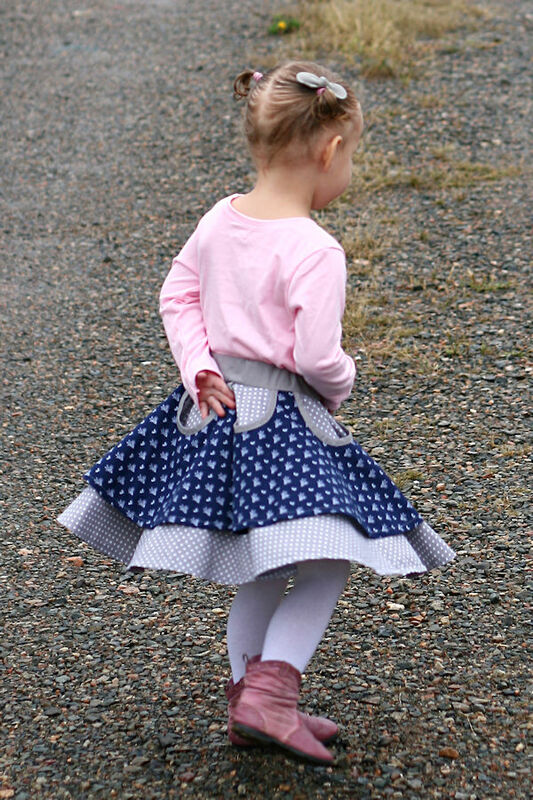 This is a double layered circle skirt, but with a little fun. Inspiration comes in many forms and this time, it was detailing on a shirt that Trish found intriguing and with some creativity, it morphed into this skirt. Both Trish and I love the look of a circle skirt. It's a preference in most (but not all) cases. The girls, well, they love that "circle skirt twirl"! The optional cut-outs on the top layer give some visual interest and allow more of that bottom layer to show through. Anyone who enjoys matching fabrics will love coming up with just the right pairing for these layers. The Aurora is slim fit with minimal ease so keep that in mind when choosing your sizes. If you like a looser fit, just size up! 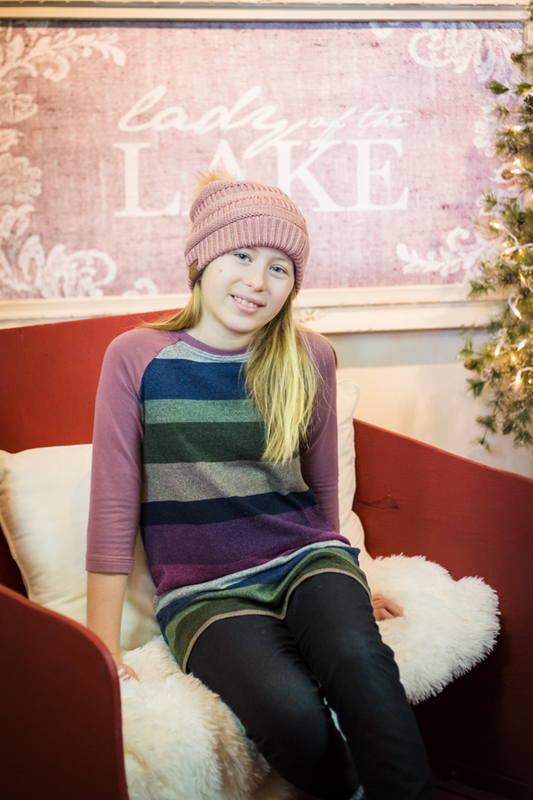 The detail that makes this raglan pattern stand out is the addition of the shoulder ties. These can be made with lightweight knits, but my personal preference is to use a fabric that will drape nicely. If you really want to have that matching look, topstitching around the ties will help the stiffer knits to lay better. People might recognize this from "Buffalo Plaid Week" in Season 14 Project Run and Play. I had created the long cuff specifically to be paired with the coat of that week. It has shorter sleeves and I wanted a bit more warmth on that bottom part of the sleeve. But I really just loved that long cuff for no other reason than I love it! So I had to recreate it. And while making a raglan shirt, why not add tunic and dress lengths? And pockets! Trish noted to me while working on her version of the Aurora that she has unintentionally created a small capsule wardrobe out of our patterns! 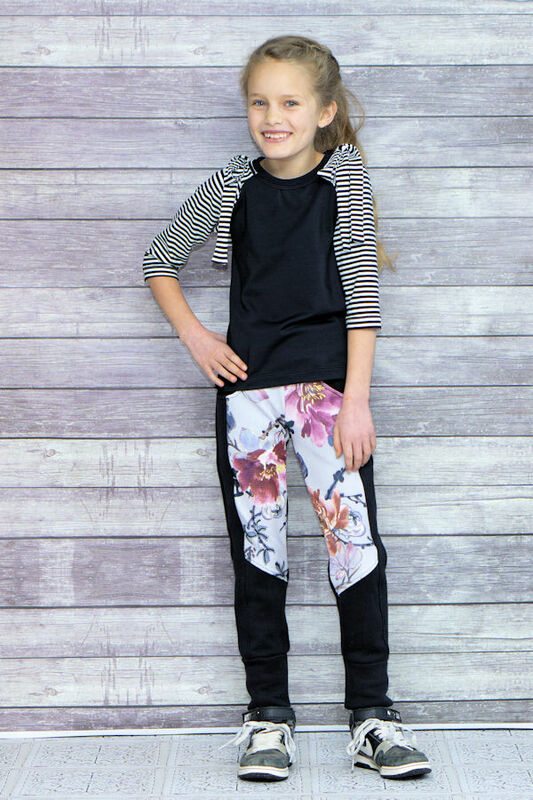 The top works with her latest pair of Railway Joggers and I've also thought about making it as a PJ top and match it with the bottoms of the Starry Nights. Clearly, this is a versatile pattern. 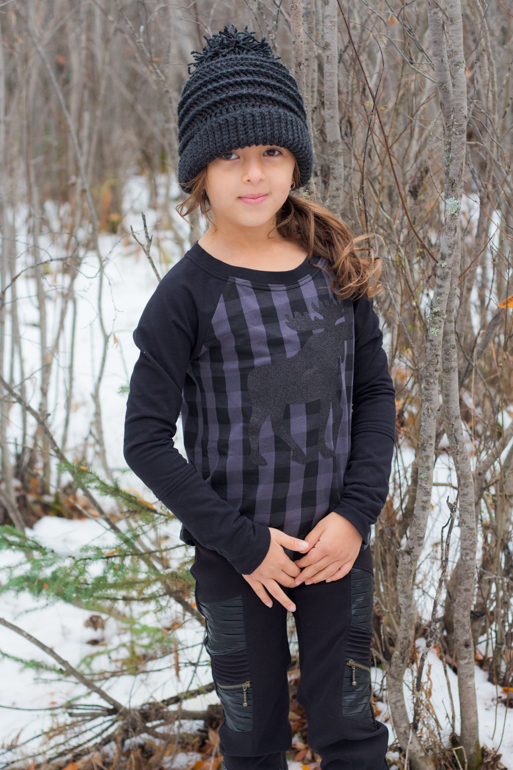 We hope you enjoy these patterns as much as our testers and we have! Remember to post your makes on our FB fan group so we can all enjoy them.